By buying this product you can collect up to 158 Yachtaid Points. Your cart will total 158 points that will be converted into a voucher towards your next purchase! Must be logged in to collect points. 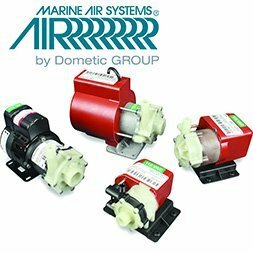 The glass-reinforced polypropylene head pumps have magnetic drive impellers, and are available with submersible or air-cooled motors. 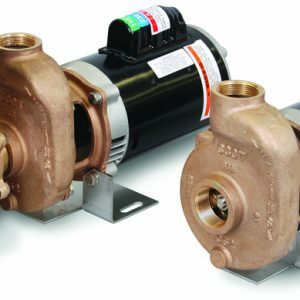 Larger pumps have bronze heads with mechanical seals, and air-cooled, drip-proof motors. A wide range of pumps and motors are available for use in different power environments. Centrifugal pumps must be mounted below the water line. 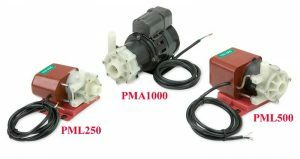 Self-priming pumps are also available for above-water-line applications. A scoop type through-hull and a seawater strainer are recommended for proper operation. -Magnetic-drive impeller means no seal to wear, leak, or repair. -Efficient motor with low power consumption. -All components in contact with water are plastic, ceramic, or stainless steel.